Mark Hamill returning as the Joker, a playable female lead, and Harley Quinn back in her original costume? Oh Arkham Knight, I may very well love you. Let’s be serious. I was already going to buy Arkham Knight’s “A Matter of Family” DLC before this trailer dropped. And so should you! Rocksteady’s core game is fantastic, and none of the game editors on this site could put it down. 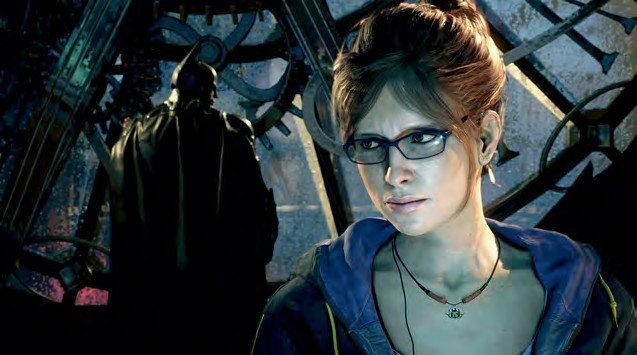 Barbara Gordon played a seminal role in Knight’s story as Oracle, so giving gamers the chance to play as Babs when she still operated as Batgirl is an opportunity no self-respecting Bat fan should miss. The Arkham Games’ attempts at DLC have had mixed outcomes, to say the least. Some, such as the Catwoman story DLC and Harley Quinn’s Revenge from Arkham City were sizable, well produced expansions that added to the narrative of the Arkham universe. Others, like Knight’s pre-order bonus Harley Quinn and Red Hood story packs felt too short and tacked on. Fortunately, from all we’ve seen of “A Matter of Family,” it looks like Barbara’s prequel shies away from the latter. With this story expansion, tons of details and nods to the history of Batman mythology are being brought to light. Joker kidnapping Commissioner Gordon and holding him at a carnival is awfully reminiscent of one of the darkest Batman tales, The Killing Joke. Even the Arkham Game’s own unique mythology is expanded upon, as Barbara teams with Tim Drake, the third Robin, a character shes shares an implied romance with in Arkham Knight. But the coolest nod to Batman mythos has got to be having Harley Quinn in her original jester outfit for the first time in an Arkham game. This is something I thought they would have done at several other points in the series. “Harley Quinn’s Revenge” and her own playable story mission in Arkham Knight both seemed like good opportunities, but a story DLC set years before the original game – in a carnival no less – really is the best environment for the ex-psychiatrist to don her red and black diamond suit. The Arkham games never seize to impress in the “reference Batman’s past” category, but this latest shoutout to The Animated Series just made the nineties kid in me ecstatic. “A Matter of Family” comes out next Tuesday, July 14th for Playstation 4 and Xbox One. Batman: Arkham Knight’s DLC rollout is only beginning, and you better believe we’ll be covering every inch of it as it arrives. Stay up to date on Twitter @ButtonMasherTO !